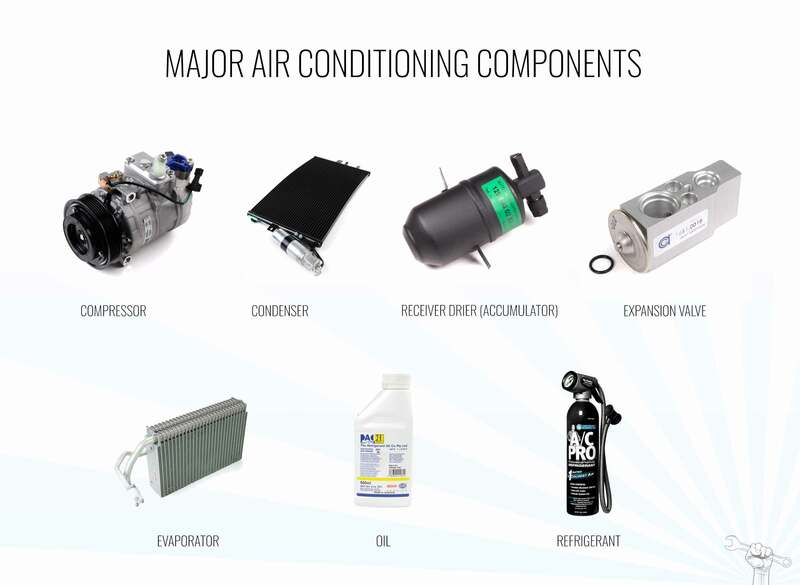 Air Conditioning Volvo diagnose, fix, recharge, DIY... everything you need to stay cool in summer heat. Without the dealer cost. Helpful Volvo air conditioning related questions and answers found here, drawn primarily from threads from my Volvo Forum. If you have a question about your Volvo’s air conditioning, please become an MVS member (free!) and post it to the correct area of the Volvo Forum. If you want to contribute your AC-related fix or experience, please go to the relevant forum and click the NEW TOPIC button and write what you know. The Volvo Repair Database has a section dedicated to this stuff: AC and other climate control problems/fixes. Also see MVS posts with the Volvo air conditioning tag. These do overlap. Volvo 850, S70, V70, XC70 1992-2000: Should AC Compressor Cycle on/off While Driving? Photos courtesy of eEuroparts, an MVS sponsor. If you buy from them, you’re helping to keep MVS on the Web! AC Compressor Cycling? AC Air Not Cold? It’s probably the level of refrigerant — R134a — or it’s the clutch. If it’s the refrigerant level, you need a can or two of 134a and a gauge, and it’s something you can do at home fairly easily. Read below for instructions on recharging your Volvo’s AC. When the AC clutch doesn’t meet the belt correctly you’ll have similar symptoms to low refrigerant charge… warm air, revs dropping every 10 or 20 seconds, etc.. Here’s how to shim the AC clutch on an S60. Here’s how to shim the AC clutch on an 850, V70/XC70 up to 2000, S70, or C70. Do not use the high pressure port that is right up front above the radiator. That’s the high side for shops with pro AC refill equipment. Instead, move a couple items out of the way and use the AC low port. Another good How To on recharging the refrigerant yourself. [more] Warning: please be very careful. Recharging AC isn’t for the inexperienced. From Haynes 850 manual: Coolant Capacity: turbo: 7.6 quarts non-turbo: 6.4 quarts type: r-134a Refridgerant Capacity: cold climates: 20 ounces hot climates: 26 ounce. 850 High Side AC discharge hose is 1/2 inch in diameter. The leds on A/C and RECIRCULATE did flash for 20 sec. I know it tells that there is a problem with the A/C. Does anyone knows what triggers the flashing of the leds? Can it be an electrical problem? I just responded to flashing rec/ac lights in the forum as that was my starting point for no ac. My code came back (Haynes manual) as “Passenger’s side interior temperature inlet fan seized” After bypassing the control panel and connected to another (not sure what – sun roof and locks?) the heater fan motor came on full force, like it used to. However, if the car is turned off, the fan motor still goes full force. Suggesting to others with a/c knowledge that the control panel switch which is supposed to be gradual low to high was bad. Went to wrecking yards for the control panel. $195 to $175 was the price. I asked the last guy what was my recourse if it didn’t fix the problem. This guy was nice enough to come out and try for ourselves his control panel and low and behold I would have thrown away $175 if he hadn’t. Because it did the same thing as mine. The same thing as mine is: no fan and a tiny bit of coolness but if you put your ear close, yes, the fan works on real low or else we would not have any coolness, not even a tiny bit. Correct? Not the Heater fan motor, not the control panel! The wrecking guy said his belief wasthe bushings are going on the fan motor. Now how can that be when it goes full force when bypassed? Well 12 volts is 12 volts thinking. Testing the plug that goes into the fan motor tested once at 5 volts and again at 7 volts. Testing the plug we bypassed to tested at 12.5 volts. So, maybe the guy is right. But, back to my dilemma again – if bushings are going out – I buy a used fan motor and again that not being the problem.Couldn’t it be one of the sensors (there’s 3 altogether, I think) or the fan motor resistor. How do I test those before buying the whole fan motor, plusremoving the motor involves removing air bag. Ugh! But, one more thing – going back to the fault code. “Passenger’s side interior temperature inlet fan seized” We know the passenger and driver each have their own manual control. Does this code mean there is another one or two fans other than the heater motor fan, which is the ac motor fan also? Do tell, somebody. That’s my story up to now except for demographics – I live in Phoenix and the past week has been 4 days of record breaking 109 and 110 degree days. I think I may die before figuring this out. Since this is getting to be a very common problem, I thought I would pass it on. My 2002 S-60 simply will not consistantly cool when its really hot outside, like over 90F. Two different shops maintain its slow failure of the magnets that engage the clutch and the only fix is changing the compressor (the clutch and compressor are integral on some newer Volvos). Thats going to be expensive but after research, it appears to be the correct action. I tried re-charging. Some help for a while. I Looked for defective high pressure switch: apparently there is none on this car and thats just stupid! Tried overcharging: made it worse so I went back to Volvo specified PSI at idle and at 2000 RPM. If there are any other S-60 owners with better advise, let me know. My 1989 Volvo 240 DL is not working. I have the option of going to a junk yard and getting the missing piece from junked cars. I supply the labor, the part is cheap. What is the sequence for testing what is wrong with the ac. the fan works, the compressor seems to work, there is a part that has two hoses coming to it. It has a window that shows what appears to be fluid level (gas) This does not show any liquid in it. I am told that to even start I have to at least put in a small cannister of gas to see if it leaks. I am told that the input valve is located in the bottom of the motor. Is this hard to get to for a weekend machanic? Where do I locate the AC Clutch Relay Control Circuit in a 1999 Volvo V70 Base model, and replace it. Merci de me dire ou je trouve le tuyau d’evacuation des condensats de la clim ? I recently discharged my A/C on a 96 850 to repair a leak, now with a full charge there is no voltage at either sensor to start the system. Any ideas? I had the problem with the AC not blowing after 30 minutes of time and not blowing ice cold. Eventually I just broke down and replaced the clutch. You can get it from anywhere but I one good place is partsgeek.com. After having my technician put it in he couldn’t have been more stupid. JUST FYI to ALL: there is a LIMIT on how much FREON you should put into your vehicle! On volvo v70’s 1999 I know it is between 25 and 40. He put it all the way up to 110 psi. Don’t be stupid. Only do what is required, the more freon you put in doesn’t mean the more cold it is going to blow. It may actually blow out one of your hoses or ac unit! ONLY PUT IN THE REQUIRED AMOUNT – DON’T LET A TECH PUT IN ANY MORE THAN WHAT IS REQUIRE – 25 PSI – 40 PSI. I’m trying to identify my a/c system I own a V70 1998 but all the diagrams for the system show me something completely different to whats there, the receiver is different, the compressor as a single twin hose connector instead of the 2 on the one shown in the diagrams, also I seam to have a valve on the back of the evaporator, and on the the receiver, can someone please help me identify this as I need to replace the compressor hoses. 1999 S70 Volvo A/C works fine for a while(time varies) blowing very cold then turns humid and hot. Suggestions please?? We have a 09 S 60. We have noticed that on trips of more than 30 minutes with the AC on that when returning home and after the AC, fan and ignition are turned off the AC/Heater fan continues to run and in some cases for well over an hour. When this occurs, one must insert the ignition key turn on and off then the fan ceases to blow. In addition, unlike most vehicles, after running the AC for long periods the tell tale puddle of water weeping from the AC system is absence. Any one else experience this problem? 2006 V50 Volvo A/C works fine for a while(time varies) blowing very cold then turns humid and hot. Suggestions please?? I need to recharge the A/C on my 98 v70 awd. the owner’s manual talks about R-12 and converted R134a, how do I tell which is in the car? I bought a can of R134a but I don’t know if I should put that in the system if it is R-12. I have a 2005 V50, the A.C. will not work when it is 80 -105 degrees, my internal gauge shows 41 degrees, and proceeds to spiral down to -4 degrees F. Then out of the clear blue, it starts working, and the temp climbs upto 41 degrees and then all of a sudden it is 88 degrees! The dealership where I live are awful, so I go into Orlando to get help. They told me it would be $200 + labor, for the part that is located in the rear-view mirror on the driver’s side. Now I am wondering it if it is the coolant that I really need? I think I am being given a crock, I have 52,000+ miles. I have no faith in the repair people here, everyone wants to make a buck, or maybe Many Bucks!!! The car is second owner, may have been in an accident, it showed some alignment, and other clues that may have occurred; it may have been injured on the drivers side. Hence the previous damage maybe the reason the problem has cropped up. The problem started three months ago after the dealership replaced my ignition switch that had gone south, it frozen up and would not turn on, drained the battery, that was over $500 +. I told them it happened after they touched the car, now they say oh it is just a part that wore out. Please advise some remedies I may attempt to save the expense of the replacement parts. My AC works fine on the passenger side of the car. The blower works fine on both sides but the air is not cold on the driver’s side. Have same problem driver side A/C blows warm air passenger sides cold. Hot in TXplease help! as Betty stated on #17, My 2001 Volvo V-70 T5 today started doing the same as hers but it’s cold on the drivers side and hot on the passenger side. I cycled through the climate control to think it was stuck or something but going from 80 back to 60 didn’t change the passenger side temp. The Drivers side went from cold to hot and back to cold after putting it back to 60. I live in Florida so it’s only going to get hotter. Any help or recommendations is greatly appreciated! I would be very much obliged if you have it send me photo to confirm if is the correct part . I HAVE A 2004 VOLVO S80. THE PROBLEM IS THAT THE AC ON DRIVER SIDE WORKS FINE, BUT THE PASSENGER SIDE DONES’T COOL ENOUGH. IS THAT AN ELECTRONIC PROBLEM OR NEEDS COOLANT? 2006 Volvo S60. Air conditioning is blowing cold and with force at floor, but not from dash or at windshield. Replaced cabin filter. No change. when we switch outlet. Any suggestions would be appreciated. The air conditioning of my S80 Volvo car works right for the fisrt hour or so, then the air ceases to flow inside the car, so no more air conditioning. The strange thing is that I continue to hear the noise of the device. It seems that simply the air is diverted to other par or stopped from coming into the car cabin. Need specifics on 97 960 wagon air problems. Comes on at erratic times; does not blow very cold when driving, but mechanics can get it very cold when the car is sitting at shop; fan area has had rodent village–need instr as to how to get to fan. Air cuts out when car accelerates. also. can you help? Great Volvo site…look in the 900 FAQ under AC. If you own a Volvo you need to visit this site. 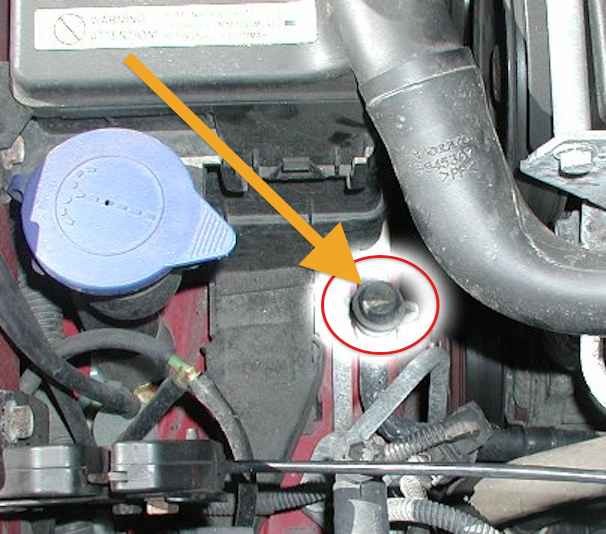 The A/C line that runs from the compressor to the condenser on my ’02 S80 blew today. The fitting the holds the metal hose and the rubber hose together somehow separated and the rubber hose blew out of the connector. I’ve done some looking around and have been told that I need to replace the entire line and that there is no way to reconnect the hoses into that metal fitting. Has anyone ever replaced this before? If so, what is the best way to reconnect the hose to the condenser and compressor? Any help would be appreciated. my volvo c8o aircondition blower is not going off when i off the key i have to remove the life wire from the battery please help. I am having some trouble. Only the passenger side heat/AC works properly. In the warm weather the driver’s side blew hot air and now that it’s turned cold, the driver’s side blows cool air. Again, the passenger side is functioning as it should. I drive ’98 s70. Any help? I have a S70 1997 model the heater fan does not work on the first three clicks but works fine on the maximum will a later model control panel work I am not sure as this car does not have EEC. it’s starting to warm up for summer here in australia and I need to fix this bugger as I have a baby girl and we live in the country so it gets up to 40+c degrees here. hi the acc on my 1996 volvo 850 r is not working properly when slide to aut nothing happens but when i slide to 0 blow on full force very cold but the more i move it across the slower it blows. I have a 1998 S70 glt and when the climate function knob is in the defrost position, the recirculate button will not turn on when pushed. As a result the A/C is on and will not turn off. The recirculate will turn on when the function button is in other positions, just not the defrost. Any ideas? I was looking for an reply to betty’s problem. My 2001 xc-70 does the dame thing except the ac blows cooler on driver and not so cool on passenger. 2006 V-50 T5 AWD in Denver. I too have exactly the same problem as Betty and Ed — left side vents do not blow in heated nor cooled air, just ambient. Mechanic at dealer suggested trying to disconnect the battery to see if it is a faulty vent control element that would re-program itself when battery is re-connected, otherwise it could be a very expensive fix. Battery disconnect did not fix it. Help! Hi there, my 1998 volvo 5 cyl station wagon slowly, but surly, lost the blower for the a/c and heater. Again, it started slowing not to work and now doesn’t work at all. It does however blow nice cold air while on the freeway but nothing at a stop or slow speed. I don’t have the money to even buy a chilton or haynes man but could use some helpful step by step hints as to what to look for. I am fairly mechanical but nothing to write home about and now have very limited tools. help in albuquerque!!! The a/c of my 2001 v70 works for 3 or 3 minutes and stop,. The wipers stop working too and the back wipers works but not stop at the correct position. My other v70 2004 the back wiper not work after a new battery who I buy at napa start on fire alone and burn part of cables,also start a message at computer saying need urgent repair at air bag (the napa and the batt. manufct. don’t care with the situation and now I go to court over they).It;s unrespect to the costumers. I have 3 volvos 850 ’96 and one I put a reconditioned compressor for a/c but It no works.What.s the problem and repair? I have a 2000 volvo s80 2.9 the ECC has no power (air conditioner, fan , heated seat. I have checked the Regular fuses all seam fine any ideas? The A/C compressor on my Volvo V50 works perfectly for about 20 minutes then shuts off (blower stays on). Turn switch off then on in 20 seconds and A/C compressor kicks back on and runs perfectly for another 20 minutes. What’s up? What to do? Could air conditioning be knocked out of working order by a side impact crash in my 1996 850 Glt Sedan? What should I look for? How can it be fixed? How much can I expect to pay to get it fixed? I have a 96 volvo wagon non turbo. I hd trouble with the a/c so a guy put lube and rerigerant into the system. The lube ended up leaking under the carpet on the drivers side floor. Any ideas? My grandaughter has a 2003 Volvo with and air conditioning problem. cools when temp outside temp is 85 or below. If outside is higher it does not cool at all. Compressor runs and has been recharged. I have a Volvo V70 2001 and the air conditioner works like for two minutes and star to hot air. I hope that you can help me. My AC switch light goes on, but compressor doesn’t switch on (clutch doesn’t turn) I checked relay continuity. It registers resistance with power on or off to the ground and live lead. Is this normal? Can it be that the coolant charge is so low that the compressor doesn’t turn on? I’ve seen other threads about comp switching on and off due to this. I have an issue to where my defrost never truly shuts completely off when in floor mood which burns my face up. Have this issue on two different cars actually. I am aware of the blend door diaphram that leaks and makes the panel vents go to defrost under acceleration, and repaired several of these any ideas? i’m driving a 99 volvo s70 T5. I got a problem with the A/C. When turn on the A/C, hot air come from 2 vents on driver side, cold air come from 2 vents on passenger side. what was it and how to fix that. Weird problem that just started today. ’95 850. My a/c system is not working due to a faulty compressor. That’s okay. Anyway, now when the a/c switch is set to off, the compressor continually kicks on and off as if the a/c was set to “auto”. Its annoying as now I can’t even get any air flowing into the cabin without constant noise from the compressor and load on the engine. Obviously the system now thinks a/c is always on. Any fix? No flashing lights on startup. I got a 414 and 418 obd. pulled the driv side handrail and blew out and lube’d the inlet fan, still same codes. do I need to replace the inlet fan or is it safe to bypass it with a jumper? I have a 2005 S80. My A/C seems to work fine, blows cold and everything, but whenever I run it I start getting some pretty sketchy performance. The car will randomly feel like it’s losing power or something. I’ve only had the car for about 6 months. I have a bad thermostat too so I’ve honestly hardly used any heat or A/C since I got it. I have a leaky expansion pipe (w/ filler valve). they don’t seem to be listed anywhere. is there another name for it? does anyone know where to buy a good one?